Do you have good fat or bad fat? We’re constantly bombarded with information connecting obesity with a variety of chronic and debilitating diseases like diabetes, heart disease, high blood pressure, and sleep apnea. The presumption is that the excess weight is the cause of these illnesses, rather than a co-symptom of an underlying problem. A new study out of Texas A&M University shines a bright light on that presumption by showing that a subset of the obese have none of these chronic illnesses, and seem to possess an enzyme that increases their fat deposition while simultaneously suppressing inflammation and improving insulin sensitivity (the exact opposite of what most overweight people experience). Furthermore, the researchers pointed out that a certain percentage of lean folks exhibit the inflammation and insulin resistance normally associated with obesity. While the study’s primary goal was to explore the enzyme in question—in hopes of someday developing a proprietary drug based on it, of course—the real point is that you can’t tell a book by the size of its cover. 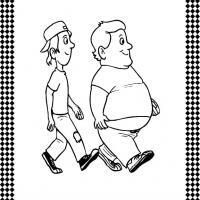 Just because you see someone carrying excessive weight, you can’t assume that they have high blood sugar or blood pressure or that their heart is a ticking time bomb. In fact, they may be healthier and have a longer life in front of them than their slender companions. Explore the research further at AgriLife Today (Is there a ‘healthy’ obesity gene? ), or dig into the nitty-gritty details at The Journal of Biological Chemistry. Want to be more like Katniss? Just read the book. 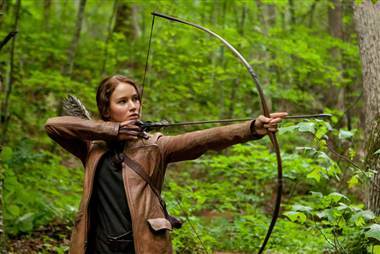 Comments Off on Want to be more like Katniss? Just read the book. A new study from the Journal of Personality and Social Psychology shows that reading about characters in fictional works can cause us to become more like those characters, but only if we identify and sympathize with them. In other words, if you find a character likeable or admirable, you will actually begin to think and act more like him. A talented writer, of course, can lead us to sympathize with characters we wouldn’t ordinarily like, so this study has some interesting implications. To learn more, see these stories: The Body Odd – You Are What You Read or Science Daily – ‘Losing Yourself’ in a Fictional Character Can Affect Your Real Life, or explore the research yourself.